Taking a new drug to market can be a long and expensive process. After years of testing and meeting regulatory requirements for each country, the drug manufacturer must market carefully and educate healthcare professionals across the region accordingly. Having consistent materials and educating their own reps is an important first step to ensure the drug is successful. 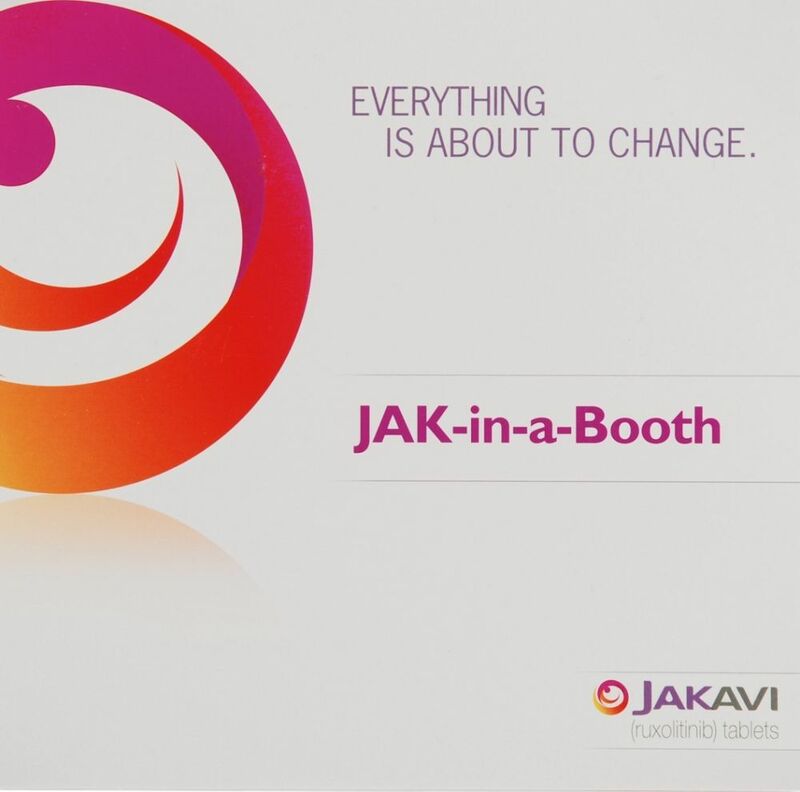 When the drug Jakavi was approved for treatment of primary myelofibrosis in Europe, Novartis launched an internal program known as JAK-in-a-Booth to maximize the presence of Jakavi at local and regional meetings. The goal was to educate their regional representatives consistently and rapidly. 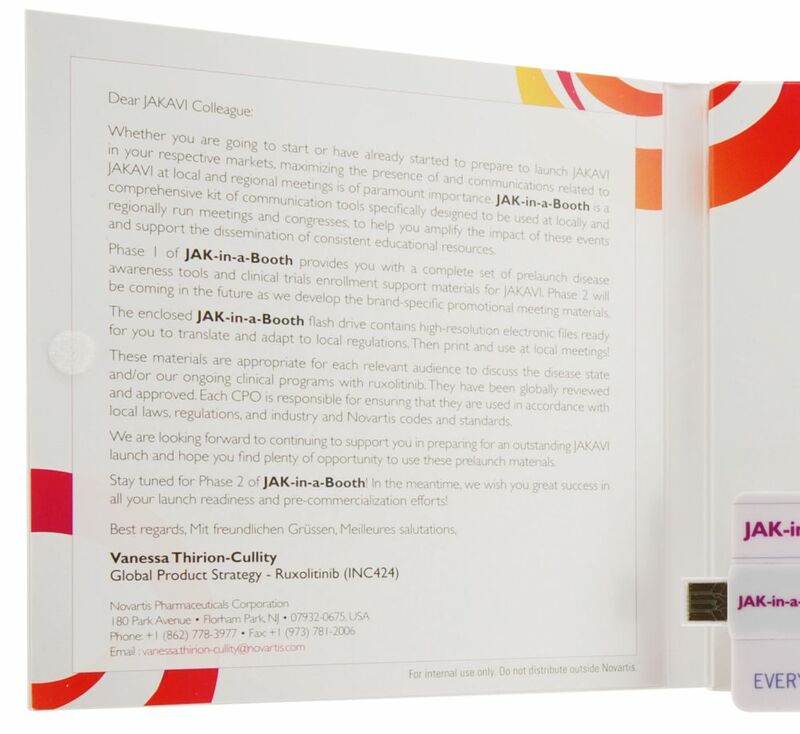 To get their team members up and running as quickly as possible, Novartis sent out a trifold booklet that had a quick reference document on one panel, an introductory letter on the other, and a USB web key in the middle. 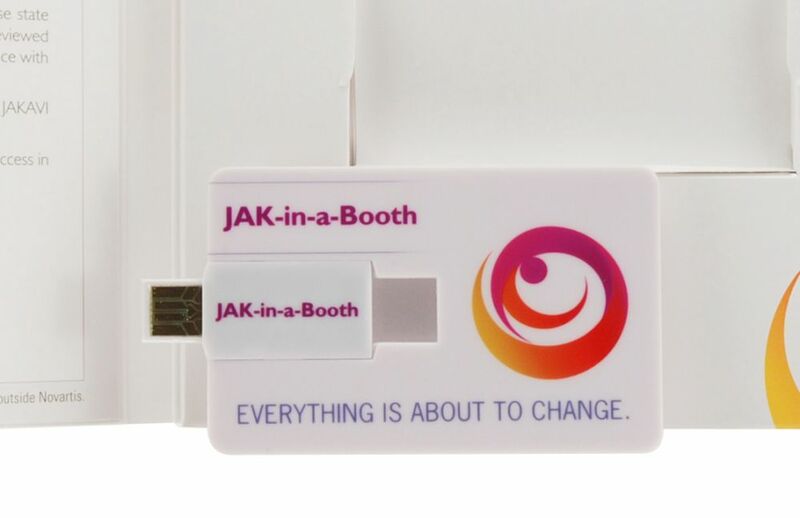 The web key was business-card sized, plastic-molded, and printed with JAK-in-a-Booth branding. 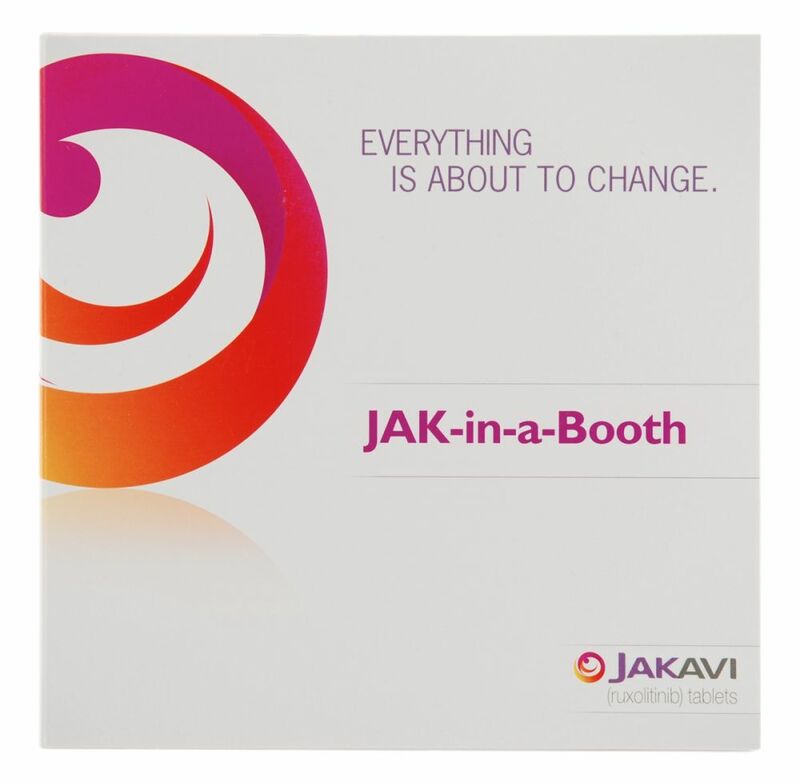 It contained a set of disease awareness tools, clinical trial enrollment support materials, and high-res assets for meetings. The web keys ensured that the sales team had a useful resource that provided direct access to important materials while also elevating the Novartis brand.